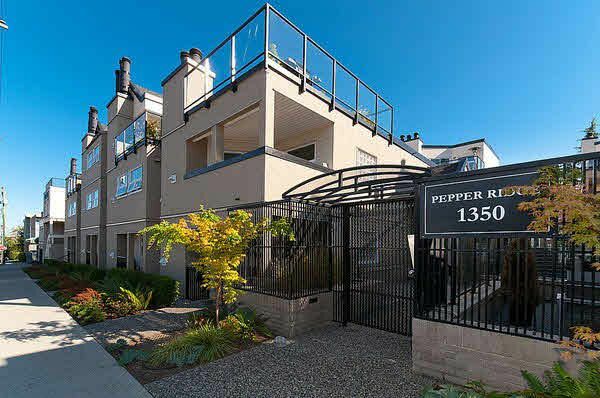 Spacious 2 bdrm+den w/2 full baths!Custom reno in 2011. Beautiful Kitchen incl: Quartz counters, Ceiling-height solid wood cabinets, Undermount sink, HansGrohe faucet & Porcelain Tile floor. Engineered HW flrs, new trim/doors/hardware built -in closet systems, room darkening blinds. Spa like Bath with Granite, under-mount sinks, Solid wood vanities, Heated tile flrs(slate & porcelain),Tiled bath/shower enclosures, Frameless glass shower door, Soaker Tub & Spa shower. Own sep entrance. Quiet sectisection of W6th. In-suite storage, laundry,1 parking,storage locker & bike storage. Lg dog ok,1 dog or 1 cat allowed, no rentals. Fully rainscreened. Perfect for shift worker, peace & quiet.